Adam Lockwood says Bury cannot use the ongoing uncertainty surrounding the managerial position as an excuse for their poor start to the season. Peter Shirtliff is in caretaker charge of the Shakers, who are bottom of League One with just three points. "I think 'Shirty' has done everything in his power. Sometimes we've let him down on the pitch," said Lockwood. "His preparation and training has been spot on and, as a player, I can't knock what he's done for us." 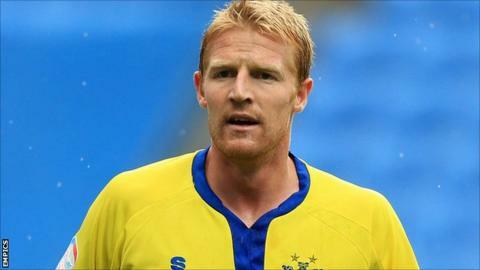 Speaking to BBC Radio Manchester, former Doncaster defender Lockwood continued: "It's not through lack of trying. We are playing good football and we've been putting good performances in. We are doing our utmost to get points. "It's down to the people behind the scenes to decide [when they appoint a new manager]. on the eve of the season to join Crawley, leaving his assistant Shirtliff in caretaker charge. The 51-year-old has stated he and, in a statement released last week, the club confirmed he was still being considered for the role. "I feel a little bit disappointed that we haven't got the points we've deserved in some of the games, which would have helped his cause," added Lockwood.